Today’s guest post comes courtesy of the phenomenal team of researchers over at Examine.com. I’m extremely proud to have Examine write for SF as they are the largest nutrition-only website in the world and unquestionably the single best resource for all information pertaining to supplementation. In fact, their Supplement Goals Reference Guide has sold over 5,000 copies in just the last few months and has completely revolutionized the industry standards of supplementation. I downloaded my copy as soon as it came out and haven’t looked back since. 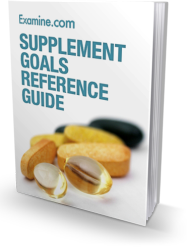 If you’re tired of wasting money on useless supplements and ready to understand the truth behind proper supplementation, I highly recommend The Supplement Goals Reference Guide. Not only is it the most comprehensive supplement product on the market, but for the next 60-hours it’s on sale for 25% off its standard price! With that said, let’s examine the top 3 most overrated supplements! Nutritional supplements are a weird industry (or field of research) where there really is no standard or reference drug, and new ‘interventions’ or drugs are just thrown out haphazardously so the users can wade through the information. Despite the above, there is still a ton of promise with nutritional supplements because many of these things do work. Using a collection of supplements that are known to work in conjunction with a good diet and lifestyle is like adding a multiplicative factor onto your gains. This article, however, is not for those that show promise. We are going to cover overrated supplements that fail to aid in your gains, and do nothing but drain your wallet. 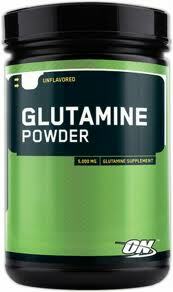 Revenge of the in vitro studies; glutamine is well known to dose-dependently and unilaterally increase muscle protein synthesis when incubated in a muscle cell with no apparent negative effect, and this observation has been noted numerous times from labs all across the world (in fact, glutamine is almost mandatory as something you just give the cell so it won’t die in a culture which allows you to actually do an experiment). Then repeated animal and human studies have failed to find efficacy with glutamine supplementation in promoting muscle mass; you could cherry pick some evidence for a positive effect, but that is all in burn victims or other trauma patients. It seems that the intestines and liver are very good regulators of whole body glutamine, and they give it to tissues that need it. When you work out, the liver will give your muscles glutamine for the repair process and when your immune system needs a boost your liver will give your immune cells some glutamine. That being said, it will store any excess glutamine for future requirements rather than allowing such an increase to run freely to the muscles. The end result is that what we see in vitro (high levels of glutamine causing high levels of protein synthesis) just cannot occur in the human body since the liver and intestines prevent ‘high’ levels from reaching the muscle. 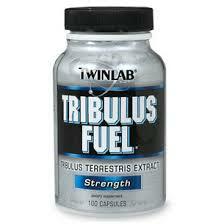 Tribulus terrestris is by no means a physical performance enhancer; it remains on the market because its libido enhancing effects make users feel like more of a man (sometimes woman) which they attribute to hormonal effects. This plant is an erogenic aid, not an ergogenic aid. 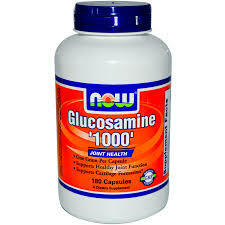 Glucosamine is one of the major ‘joint health’ supplements used by athletes and arthritis people alike, and not for good reason! When looking at the studies in existence, there are dozens of interventions and at least five meta-analyses on how glucosamine can reduce knee joint pain with a potency comparable to the reference drug acetaminophen. For athletes? We have two studies (here and here) saying that higher than normal doses reduce levels of a bio-marker which suggest that it can reduce collagen breakdown; joint pain not actually measured. This could be a bit rationalizable if there were unanimous anecdotal reports of benefit (like there seem to be with cissus quadrangularis) but reports about the efficacy of glucosamine are highly varied in both athletes and arthritic persons alike; not a reliable drug intervention in the least. First and foremost, I want to extend a massive thank you to Examine for writing this article, as well as congratulations on hiring 3 new full-time researchers to your already extraordinary team! 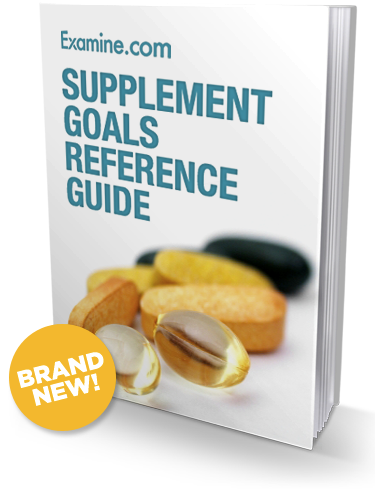 Second, if you enjoyed this article then you’ll love The Supplement Goals Reference Guide! Unquestionably the most comprehensive, science-based supplement product on the market, The Supplement Goals Reference Guide is only on sale for THE NEXT 60-HOURS and will save you time, money, and enhance your knowledge to help you achieve your ultimate goals. If you’re tired of throwing your money down the drain and ready to narrow your supplement supply down to only the very best, download your reference guide today!